Wondering what to do with non-financial inherited assets? This podcast explores options for donating to a philanthropic cause. Think about any inheritance you may receive. Will it include any non-financial assets that you might like to donate? Are you wondering how to put this inheritance to a philanthropic cause? Hi, I am Susan Lill from the Estate Services team at Wells Fargo, and today I am joined by Beth Renner, National Director of Wells Fargo Philanthropic Services. Welcome, Beth! Beth, on the Estate Services team, we see a lot of clients who inherit non-financial assets. Some of them tell us they would like to give these assets to their favorite charity. Can you explain how that can work? Sure, Susan. More often than not, clients receive personal property as a part of an inheritance, and these assets can be challenging to manage. 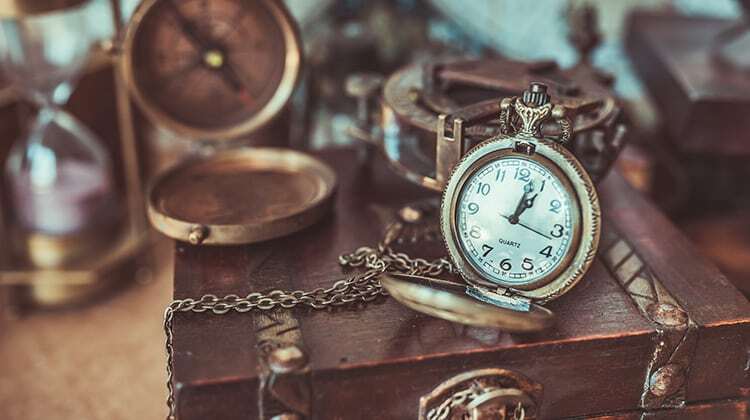 One of our clients inherited her grandmother’s antique clock collection. She herself didn’t have a passion for antique clocks and wanted to donate them. But as we know, charities generally prefer to receive monetary gifts such as cash or stocks. So what were the options? Number one, selling the clocks individually. That would be time consuming — and it could take a lot of research to know the value of each clock. Number two, she could gift these assets through a donor advised fund like the Wells Fargo Philanthropy Fund. In this case, we would do the groundwork to help determine the clocks’ value and we would locate buyers, as well. The proceeds of the sale could then be contributed to the gift account that was set up according to a strategy she determined. Afterwards, she can choose to recommend grants to her favorite qualified charities. What if she didn’t yet know what charities to donate to? If she wanted time to reflect on what she truly cares about before making a gift? That is absolutely possible. The proceeds from the sale of the clocks can stay in the fund account until she decides on the causes she wants to support. When she is ready, she can recommend grants. And the benefit of this approach is that it is also a great way to engage children and grandchildren in giving. Family members could make grants to different organizations within the same account so each can express their own personal philanthropic voice. Who do I call if I would like to talk more about my philanthropic giving options? Contact your Wells Fargo relationship manager, who will introduce you to a philanthropic specialist. Our experienced professionals across the country would love to show you how the Wells Fargo Philanthropy Fund works, both for you, your family, and for the causes you care about. Well, Beth, these are some great insights and I want to thank you for joining us. And a special thank you to our audience, as well. Learn how donor advised funds can be powerful philanthropic tools. This three-step process can help unite your family on charitable giving. Your passion for giving is unique, and your strategy should reflect that. Talk to your team at Wells Fargo to get started. The Wells Fargo Philanthropy Fund is a donor advised fund program sponsored by the Renaissance Charitable Foundation Inc. This donor advised fund program is made available through Wells Fargo Private Bank, which provides products and services through Wells Fargo Bank, N.A. and its various affiliates and subsidiaries. As required by law, all contributions to a Wells Fargo Philanthropy Fund Gift Account are under the exclusive legal control of the Renaissance Charitable Foundation Inc. Neither Wells Fargo & Company and its affiliates nor the Renaissance Charitable Foundation Inc. provide legal advice. Please consult your legal advisors to determine how this information may apply to your own situation. Whether any planned tax result is realized by you depends on the specific facts of your situation at the time your taxes are prepared.